11th Hour Amusing Bug… GIANT F.I.G! There’s always some funky bug that pops up in the 11th hour of making most games. It’ll come as no surprise to find out that it’s Frutorious F.I.G. again being a nuisance! This time, instead of just peeping up in the corner, he’s now decided to warp himself all over the background of our title screen. 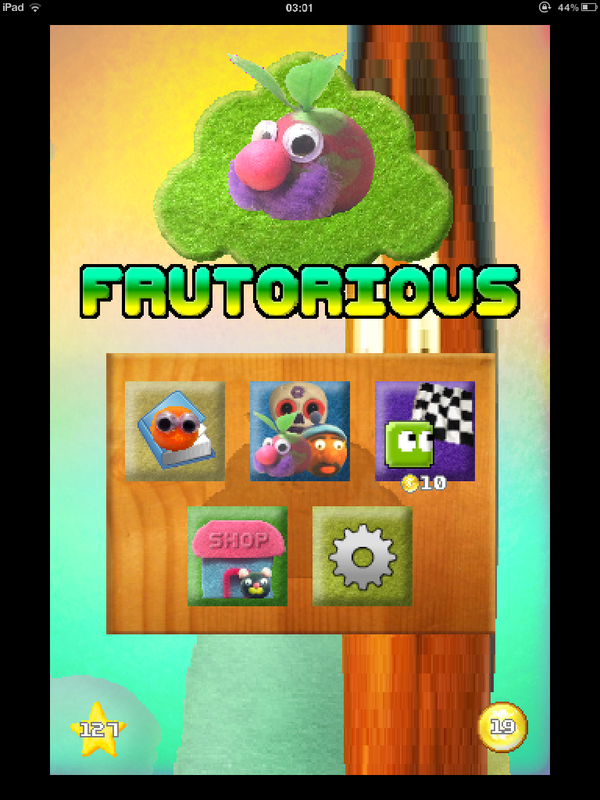 Tagged amusing bug, Frutorious, frutorious f.i.g. Next postFrutorious Submitted to AppStore!